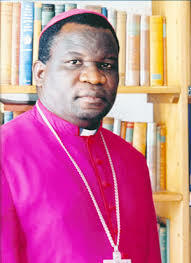 MASVINGO – The Zimbabwe Catholic Bishops’ Conference (ZCBC) is engaging Government with a view to meet President Mnangagwa over the deteriorating economic and political situation in the country, ZCBC secretary general Fr Fradereck Chiromba said. He told The Mirror in an exclusive interview that the process of engaging Mnangaggwa is underway and bishops hope to meet him soon. Last Sunday the bishops issued a strong Pastoral letter read out in Catholic churches throughout the country in which they expressed concern and alarm at the state of the nation since the time of the military-assisted political change in 2017. In the statement, the bishops expressed concern and sadness at Government’s ‘heavy-handed and intolerant handling of dissent’ which they blamed for the injury and death of innocent, ordinary people. Reports indicate that 12 people were shot by soldiers during the ZCTU called mass stayaway last week while 68 others were seriuosly injured. “The Bishops are concerned by the situation in the country. We have issued a statement on that and we are engaging Government with the hope to meet the President,” said Fr Chiromba. In the letter published on January 17, 2019 under the title; Rebuild hope, trust, confidence and stability in Zimbabwe, they noted that the hope created with the coming of the new dispensation and the goodwill thereof is dissipating. They expressed concern at the resurgence of political polarisation in the country. The bishops described Government’s approach to the economic problems facing the country as piecemeal and knee-jerk and gave the example of the 2% tax on money transfers. “We are concerned by Government’s heavy-handed and intolerant handling of dissent and expression of rights by Zimbabwe’s dissatisfied population resulting in injury and death to innocent ordinary people,” read the statement. The pastoral letter called upon Government to desist from unilateral imposition of policies and to have policy consistency. It also called on Government to exercise tolerance towards citizens.